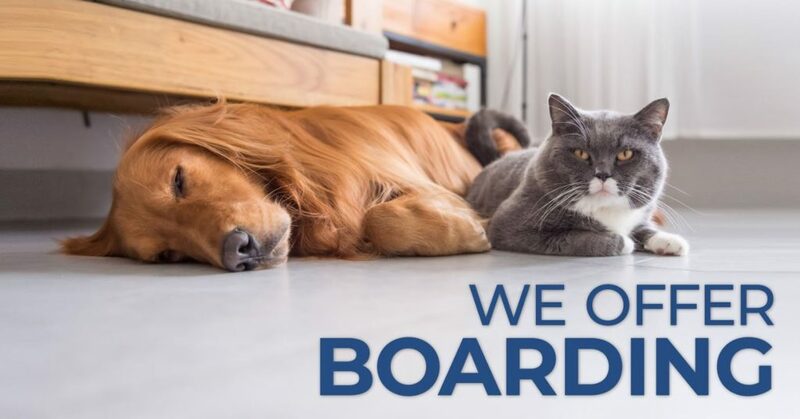 We are very excited to announce that we are now offering boarding for dogs and cats at Animal clinic of Antioch. So call us to book your spot and enjoy your trip while we take care of your fur babies. We will ensure your pet is as comfortable as possible while staying with us. We make sure to give the pets in our care plenty of exercises. As animal lovers, we know how hard it is to leave your beloved pets, no matter how much fun you plan on having. We want you to know that while your pets are with us, we will do everything we can to give them a good visit. We promise to take the very best care of your pets so you don’t have to worry about them. Our staff is professional and well-trained. As animal lovers, we will treat your pets as if they are our own. You don’t have to worry about your pets while you are away. They are in good hands. To keep your pet healthy, our facility is always clean and disinfected! Because we are so proud of our facilities, we welcome our clients to come and visit so you can see for yourself. If you are concerned about boarding your pets, don’t hesitate to set up a time to visit our practice and look around. We hope that after your visit you will feel much better about boarding your pets with us. While you are here, we will have plenty of time to discuss our boarding policies. Please bring all of your questions and concerns so we can answer them while you’re here.